Invest in the Future of Arizona this Giving Tuesday! Giving Tuesday is just around the corner! Join us on Tuesday, November 27th for this global day of giving to make dreams come true in Arizona. Learn more about the impact your donation can have below. 403 food producers convened at our annual events Food & Farm Forum, and Farmer + Chef Connection. 81% of respondents reported that they met new buyers and suppliers at this year’s event. 185lbs of food donated to UMOM - a local organization that provides shelter and services to women and families in need of emergency housing. 81% waste diversion rate - attendees went through 50 gallons of water from our water bottle refill stations, saving 379 water bottles in the process. Help us "beet" our goal by donating $5, $20, or $50 in advance of Giving Tuesday on 11/27. 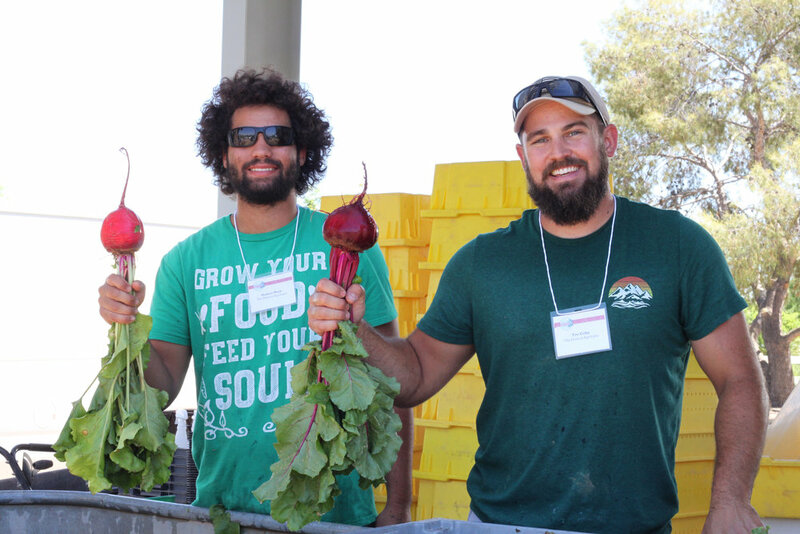 Every dollar will help us get local food into Arizona kitchens. Make a donation of any amount on Giving Tuesday. You can also make a donation anytime leading up to November 27 here. Tell your family and friends why you support the Local First Arizona Foundation. Whether you're passionate about local food, Latino entrepreneurship, or small-town prosperity, sharing why you care can go a long way. Spread the word on social media. Giving Tuesday is a day where hundreds of nonprofits reach out for support. Help us stand out from the crowd by giving our social media some love!